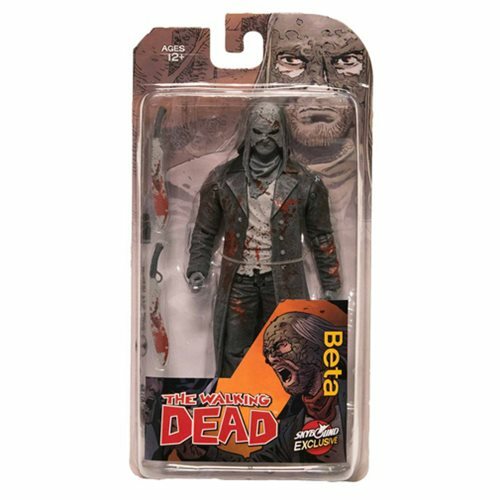 Skybound's exclusive lineup of limited edition The Walking Dead action figures continues with the menacing and powerful Beta. Beta serves as the de-facto leader of the Whisperers group and seeks revenge on Negan for killing his first in command, Alpha. This blood-spattered 6-inch scale Walking Dead Comic Beta Bloody Action Figure comes with two hunting knives. Be sure to check out the Walking Dead Comic Beta Action Figure, too (sold separately). Ages 12 and up.